Statement from Tjen Folket – the Norwegian communist league Serve the People. We condemn the latest attacks from the fascist Indian state against the revolutionary movement. Commandos of the reactionaries have killed tens of people, in their genocidal war against the poor. Operation Green Hunt is a repressive campaign to destroy the Maoist led new democratic revolution in India. It has been ongoing for years. 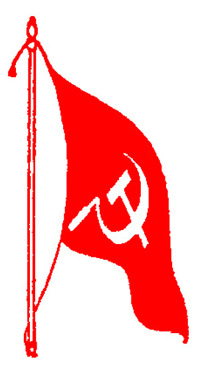 The Communist Party of India (Maoist) has been branded threat number 1 against the Indian state. The new power has the support of millions in the inner poorest parts of the country. We support the Maoist party, the Peoples’ Guerilla Liberation Army and the new power of the revolutionary masses. The details of the latest massacre is not clear or confirmed. But some sources speak of a massacre on the participants of a wedding, and of 40 communists being killed in this vicious attack. Sadly, it is nothing new that the old reactionary power use brutal terror in their counter revolutionary activity. Our warmest solidarity goes out to the families and comrades of the killed. They live on in the struggle for people’s power and communism. Our warmest solidarity also to the political prisoners in the dungeons of the Indian state. We don’t forget our fighters. We will remember them on the Red First of May – as our martyrs, they pay the price of struggle and resistance with the risk of their own bodies and minds. It is a burning beacon of inspiration. Our ideology, Maoism, gives guidance to fighters all over the world. From Peru to the Philippines, from India to Turkey – and even in the belly of the imperialist beasts, like the USA, Germany and Norway, we find revolutionary youth prepared to give their life for the revolution of our class. We pledge a unconditional support to the protracted people’s war of India and to the new democratic revolution as integral part of the world proletarian revolution. We pledge to engage in revolutionary struggle in our own countries. Through the hardships of ice and fire, red warriors are steeled. Long live international solidarity and the People’s War of India! Long live the Communist Party, People’s Guerilla Army and New Power of India!